Inheritance Tax has many sides; the good, the bad and the downright… confusing. The ugly truth, however, is that all the money, assets, and other property in your estate will be assessed for Inheritance Tax (IHT) when you pass away. Even in your lifetime, certain gifts and transfers can be ‘clawed back’ to count as part of your estate for IHT. You might wonder what the good bits of IHT can possibly be. Well, depending on your circumstances and the reliefs that you can apply, you might not have to pay any IHT at all. For a general overview of IHT, read our article on the basics. In this post, we’re going to focus on two of these positives: Business Relief and Agricultural Relief. Whilst it may take a bit of Clint Eastwood-style squinting to size them both up, they are worth knowing about. They have the potential to exempt up to 100% of an asset from IHT. The reliefs can apply to lifetime transfers and to your estate when you pass away. A recently reported tax case concerned a livery business and whether Business Relief or Agricultural Relief could be applied to it. The case provides a good illustration of how these reliefs can operate and just how significant their IHT benefits can be. But before delving into the case, let’s look at the reliefs themselves. There are two tiers of Business Relief. Some assets will be eligible for 100% relief (meaning that none of the value of the asset will be added in to your IHT calculation) and some are eligible for 50% (meaning half of the value will be ignored for IHT purposes). What will qualify for Business Relief? Any business, interest, or asset which meets the Business Relief requirements is referred to as ‘relevant business property’. This is a much more specialised form of IHT relief. However, if you are a farmer, Agricultural Relief could be crucial. The difference between a high IHT bill and a low one could also mean the difference between selling off parts of a farm to pay the tax and keeping the farm intact when you pass it on. Agricultural Relief also allows up to 100% of the value of the asset to be disregarded for IHT. There are several conditions which determine whether a qualifying asset will attract the 100% relief or the 50% relief instead. These are more technical than Business Relief and it is recommended that you discuss your circumstances fully with a specialist tax or legal advisor. Some agricultural shares and securities. Property which is in the process of being sold. For these assets, it is worth considering whether Business Relief can apply instead. 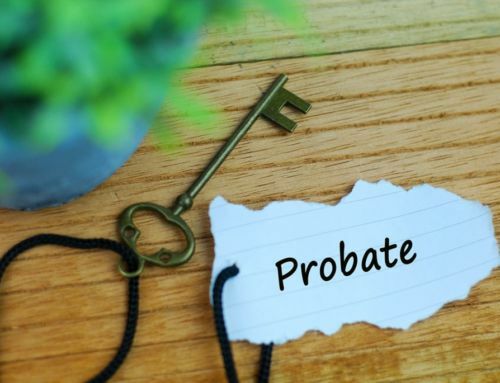 Like Business Relief, Agricultural Relief requires you to have owned the asset in question for at least two years prior to your death (or before the time of transfer if it is a lifetime transfer). The required period is lengthened to seven years if you own the property but someone else is occupying it. Whichever period might apply, the property must have been used for agricultural purposes through the duration of that period. This case involved the estate of Maureen Vigne, who had passed away. Her personal representatives, in dealing with her estate, sought to claim IHT reliefs, on the livery business which Maureen used to run. The business consisted of about 30 acres of land, made available to horse-owners for keeping and grazing their horses. Fees were charged and basic services, such as health checks for the horses, were provided. The personal representatives claimed that the livery constituted relevant business property for the purposes of Business Relief. Alternatively, they argued that it was agricultural property and entitled to Agricultural Relief. HMRC denied this. They argued that it did not meet the definition of relevant business property on the basis that the business was ‘mainly for investment purposes’. The judge took a very common-sense approach in determining the issue. Instead of looking for evidence that Maureen’s livery business had not been for investment – as HMRC argued he should do – the judge stated that the question should be approached from a neutral start point. No preconceived ideas should be held, and no assumptions made. The facts should be gathered and then, when all taken together, used to determine whether the business was wholly for investment or not. In the judge’s view, when looking at the livery business, ‘no properly informed observer could or would have said that [Maureen] was in the business of “holding investments”.’ The judge therefore allowed the Business Relief to be applied. Since Agricultural Relief should always be considered before Business Relief (IHTA 1984, section 114 directs that Agricultural Relief is given priority and Business Relief may apply to any unrelieved excess), the question of whether the livery would qualify for Agricultural Relief was also addressed. Here, the judge decided that a livery business would not qualify because equine activities do not generally count as agricultural in the relief provisions. The exception is breeding and rearing horses on a stud farm, but the fact that specific mention is made of this in the relevant law led the judge to conclude that a livery would not be eligible. Mention was made, however, that the livery’s land contained a hayfield, which could have qualified as agricultural land. However, the judge ruled that this would also not make the land eligible as no crop of hay had been taken from the field in the two years prior to Maureen’s death. As such, it could not be said that Maureen had used the land for an agricultural purpose during the relevant two-year period. How much tax did the estate save? The case report does not give us full details on this, but it provides enough information to suggest just how important Business Relief was for Maureen’s IHT bill. In the available figures, the livery business and its land were valued at a total of £308,990. This was claimed as being 100% deductible – i.e. that the whole of this sum should not be included in the IHT calculation. The rest of Maureen’s estate was valued at £595,886, which is enough on its own to use up all of Maureen’s Nil Rate Band for IHT of £325,000. So assuming no other exemptions or reliefs would apply (such as a transferred nil rate band from a spouse, or the residence nil rate band) this would mean that all of the livery’s value (£308,990) would have been taxed at the normal rate for IHT – had the Business Relief been disallowed. The normal tax rate for IHT is 40%, so without the Business Relief, the value of the livery alone would have added £123,596 to the IHT bill on Maureen’s estate. Clearly a saving worth making! If you think your estate might include businesses, assets, money, or land which might qualify for either of these reliefs, it is important to investigate the matter with a qualified legal professional. This article only skims the surface of the various provisions and exceptions of the reliefs, so it is important to explore them thoroughly when applied to your own circumstances.